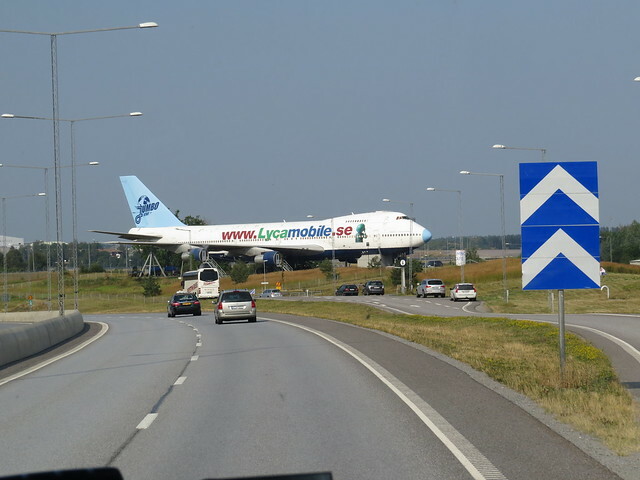 As I took the bus to the Ibis Hotel (near the Arlanda airport) from Stockholm Central, I saw what I thought was a parked and exhibited Jumbo (Boeing 747). But PC tells me otherwise. It's a hostel! Wow…for the price I paid for the Ibis Hotel, this would have been a marvellous and unique experience…wish I’d known about it in advance!